Curly hair is one of the most versatile types of hair out there. We can achieve looks that girls with straight hair can only envy. 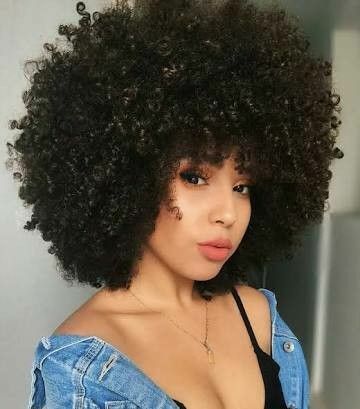 Most of us are blessed with the natural volume and lift curly hair provides, which gives us tons of options when it comes to styling. It can be fun to play around with styles. If you're looking for some options for stretching out your strands, check out these easy to achieve styles. This is a super easy (and super popular look). To achieve a twist out, section your curls then apply your favorite styler and moisturizer. Once your curls have been detangled, you can begin twisting them into two strand twists. Allow them to dry overnight. Before you un twist, use oil to smooth down your strands to minimize frizz. A braid out will give you more options if you want to help stretch your curls out further or get more texture for an updo. Similarly to the twist out, you'll want to start with damp hair and apply your favorite styling products. Work through any tangles with a wide toothed comb before sectioning your curls into 4-8 sections and braiding. You can allow the braids to sit overnight but they should be completely dry before taking them out. This style takes a little more time and effort to achieve. To do this, you'll also need a ton of hair ties. Section your damp, detangled curls and tie hair bands along sections of the length of your curls. How many you do will depend upon the length of your curls, their density and how many sections you make. You will most likely end up using 3-5 hair ties per section. This styling technique can also help you achieve a heatless blow out if you want big, wild curls.